Yahoo on Friday continued its shift to online content with a line-up of free streaming concerts by music stars such as Usher, Michael Franti, and The Dave Matthews Band. 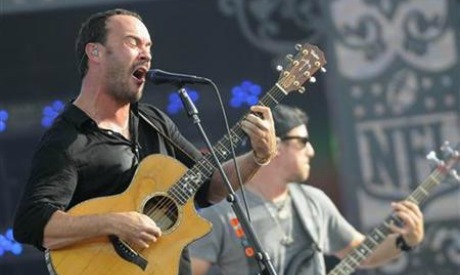 A Live Nation Channel on Yahoo Screen promised to serve up a new live concert daily beginning on July 15 when The Dave Matthews Band performs two sets. "In today's on-demand entertainment environment, live experiences are the only ones that we all share together, at the same time," Yahoo chief marketing officer Kathy Savitt said in a release. "Together with Live Nation, we are excited to bring millions of fans together to share these moments through the new Yahoo Live experience." A glimpse of the schedule for the first month at yahoo.com/live promised performances by John Legend, Justin Timberlake, OneRepublic, Everclear, Airborne Toxic Event and other music stars. Live Nation boasted producing more than 23,000 shows annually around the world. "This channel will create a powerful new way for artists to continue to grow their global fan base," Live Nation chief executive Michael Rapino said in a release. Concerts can be streamed through Yahoo Screen software on a wide array of Internet-linked devices including Roku, Xbox 360 consoles, AppleTV, desktop computers, and mobile devices powered by Apple or Android software, according to the Sunnyvale, California-based technology firm. Yahoo has been shedding its online search engine past in favor of a future as a venue for premier digital content and services, particularly aimed at smartphones and tablet computers. Yahoo has also been investing in original programming. Yahoo has enlisted news, music and television stars for online magazines focused on technology, film and food.